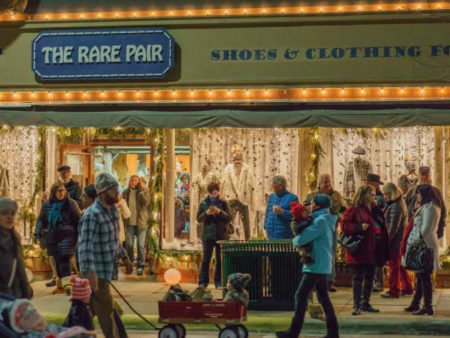 Nov 16 Signage Input Meeting for downtown business owners – Give feedback and help the City of Northfield update sign regulations for the historic district. 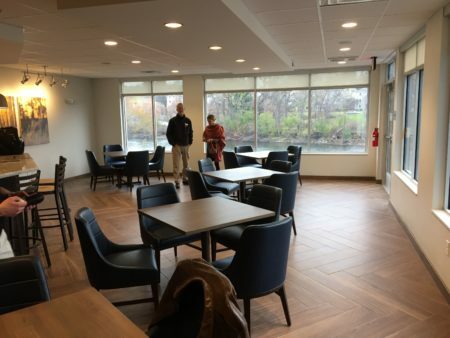 8 am at the Archer House River Inn – coffee and donuts provided! 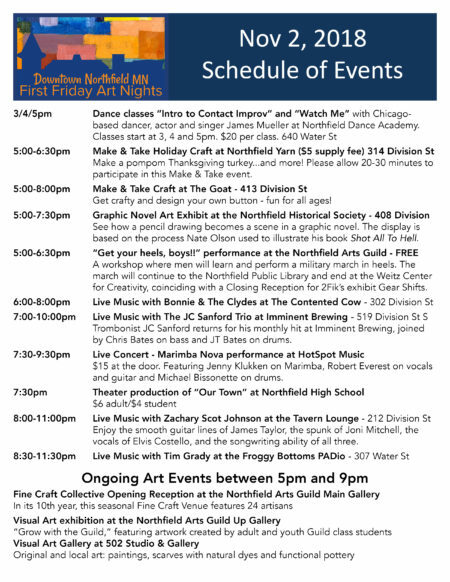 Nov 17 Grand Opening of Minnesota Soulstice – Check out Downtown Northfield’s newest clothing and gift store during their celebration from 9am-5pm. 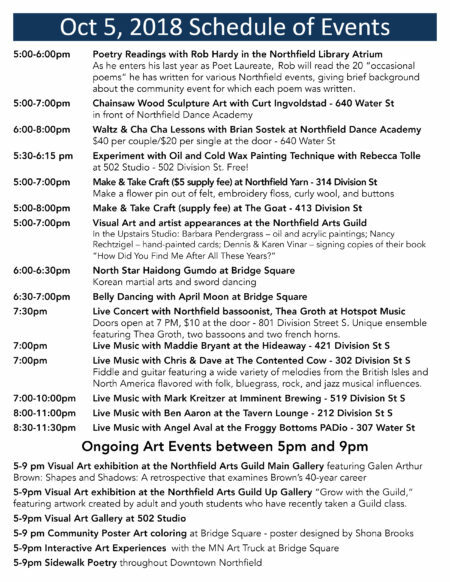 310 Division St. S.
Dec 7th First Friday Art Night, featuring a Christmas Ballroom Dance Class – Rumba, Swing and Viennese Waltz with Brian Sostek at the Northfield Dance Academy, 640 Water Street S. from 6:30-8:00pm. Pre-register before Nov 30th $40 per couple/$20 for singles or at the door $45 per couple/$25 for singles. Email northfielddance@gmail.com to register. 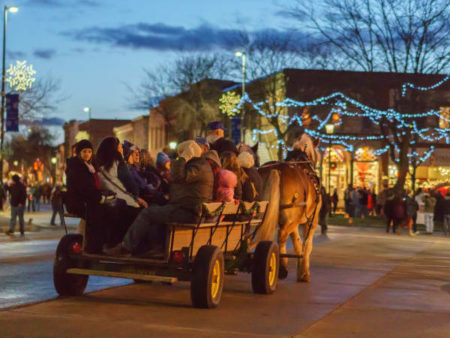 Check out the full First Friday Art Night lineup here! 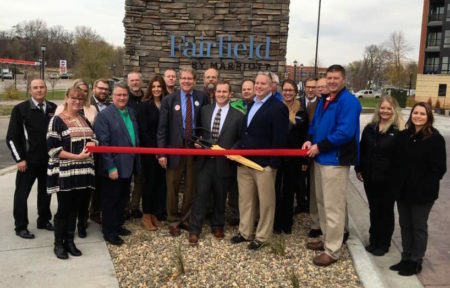 The NDDC board and staff joined representatives from the City, Chamber and CVB on October 30th for the ribbon cutting at Downtown Northfield’s newest lodging destination, the Fairfield Inn & Suites by Marriott. 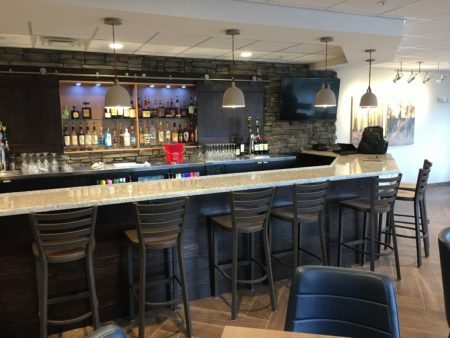 The new 80-room hotel is located at Highway 3 and 2nd street and features an indoor pool, fitness room and underground parking garage. 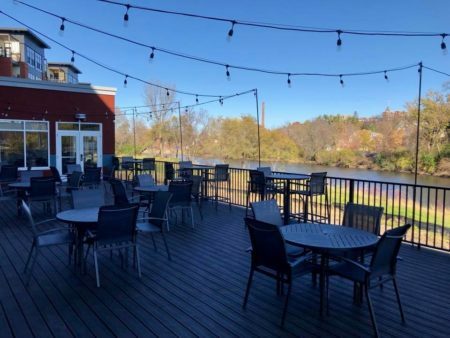 This Fairfield was custom built to include a special feature: just off the breakfast area is a bar, lounge and deck overlooking the Cannon River. The bar area will be open to the public in the evenings, serving beer, wine, cocktails and appetizers. The Fairfield Inn & Suites is locally owned and managed by Rebound Hospitality of Northfield. Reservations are available at www.marriott.com/mspnf or by calling 507-366-5000. 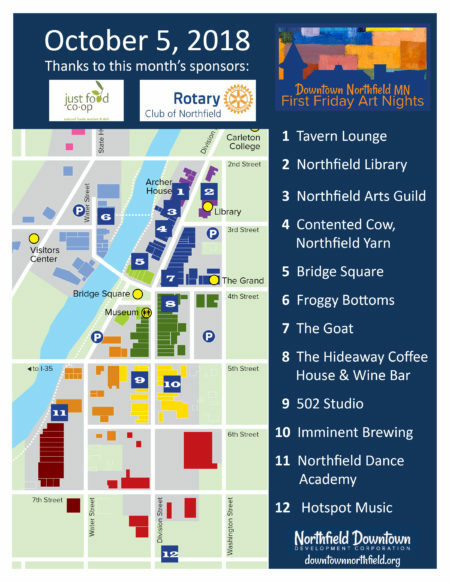 Thank you to Just Food Co-op and The Rotary Club of Northfield for sponsoring this month’s First Friday Art Night. Check out the printable schedule and map below for details. 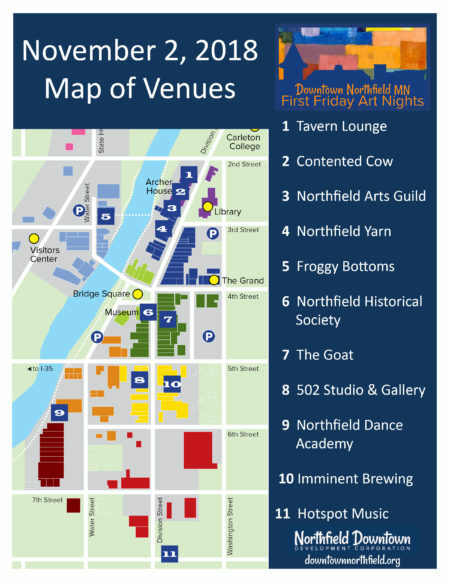 We’ll see you downtown for First Friday Art Night on October 5th!